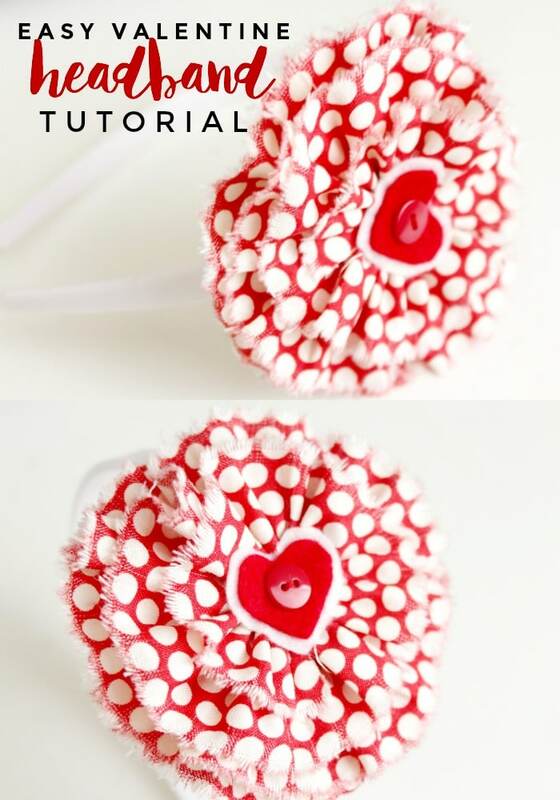 How to make easy fabric flowers and turn them into the cutest Valentine’s Day Headband! Tear the fabric. You want to do this along the long edge. In the end you want the torn piece to be about 45 inches long. Once it is all torn iron it out flat. 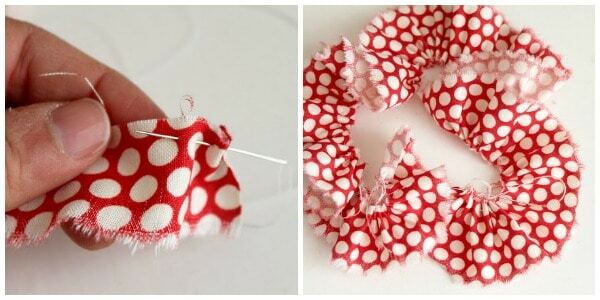 Grab your needle and thread and start gathering the strip of fabric. Tie off the thread at the end of your gather. You do not want it tightly gathered, but more loosely. 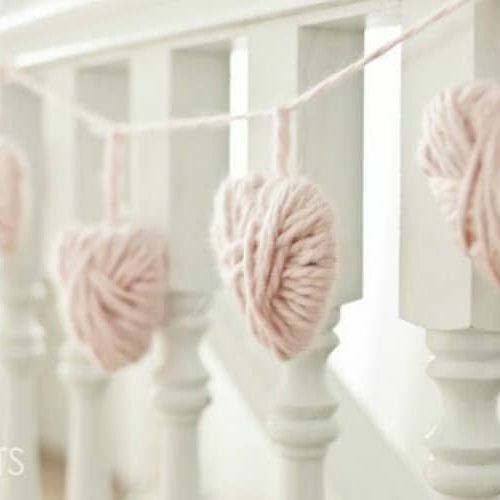 Then you will take the gathered strip and make it into a circle. 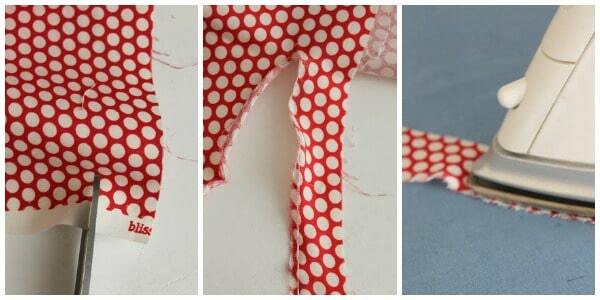 Make the fabric overlap each other- your outer layer should be larger then your inner. You are going to wind it in. 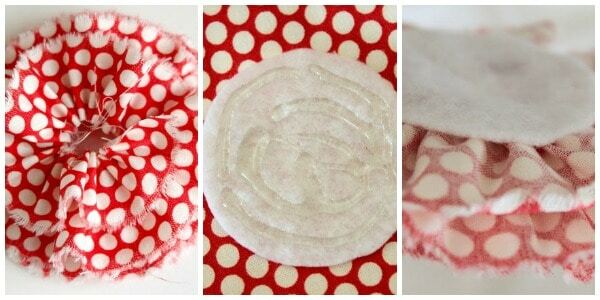 Cut out a circle of felt that will fit under your fabric circle. Put hot glue on it. 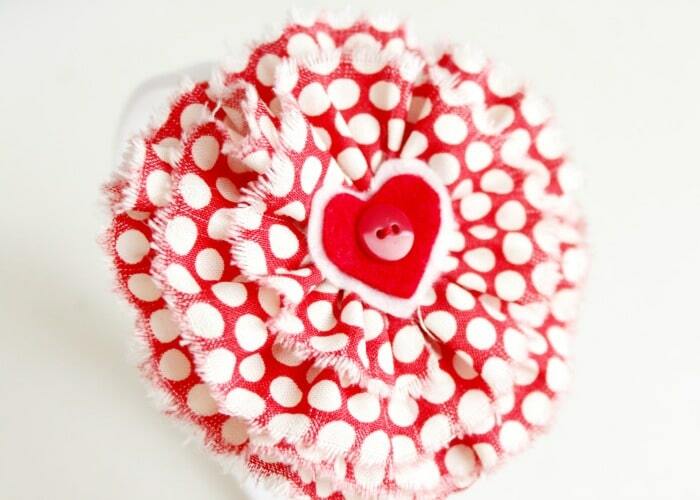 Place the circle you made onto the felt circle. Use more hot glue to make sure the whole circle is glued down. 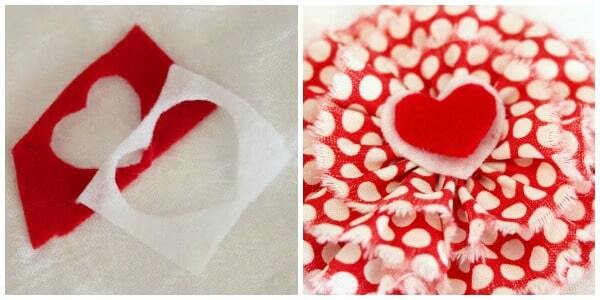 Grab a few more scraps of felt and cut out two hearts. I made the white heart a little larger then the red one. Get your headband. 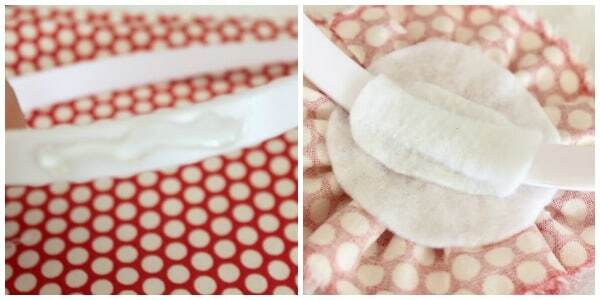 Put it on your head and find the best place for the circle of fabric you are going to glue onto it. You will be sorry if you do not look first to pick where you want it. (I like mine more to the side.) Then put hot glue where you want the fabric piece to go. After the fabric piece is glued on a take another small piece of felt and glue that on also. It helps to hold the fabric piece to the headband. That’s it! I told you they were easy! 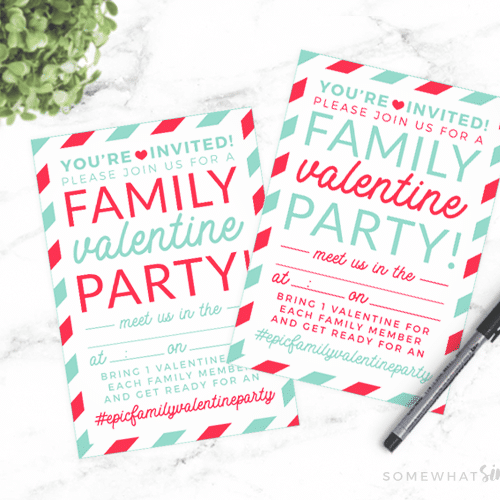 About the author: Tasha is a creative mom of 4 kids and the author of the site Creation Corner. Tasha was on our creative team in 2010. 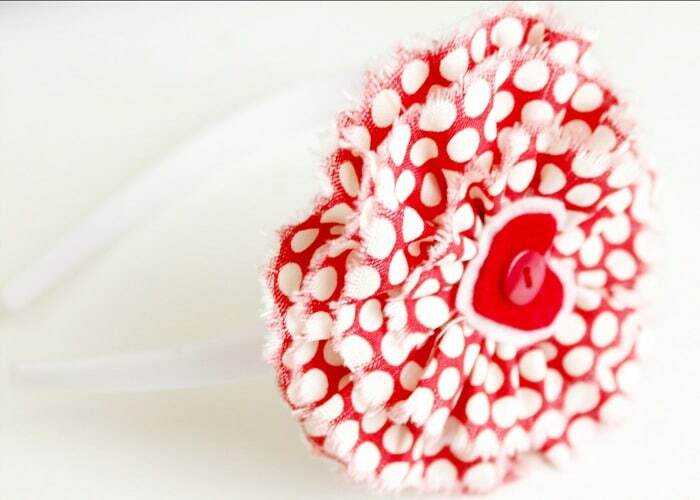 Thanks for the idea, it gives me an inspiration to prepare Valentine this year. This is so adorable! I just pinned it 🙂 Thanks for sharing. I love this 🙂 I just pinned it on pinterest 🙂 Thanks for sharing! Way to go Tasha, I knew that must be you when I saw it!! adorable! my 6 yr old will love this!